Commissioned by An Post to mark the Louis Braille bicentenary. 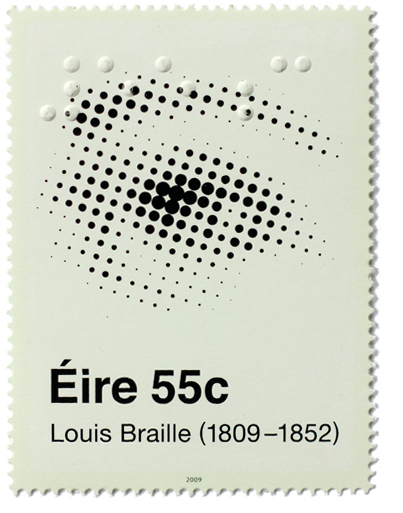 The stamp features an eye created with a series of dots representing braille as a system that extends the senses through the organisation of a minimal form. Braille reads: Eire 55c.